Read by D. A. Wilson in San Francisco, September 4, 2012. Read by the author in San Francisco, February 2, 1992. 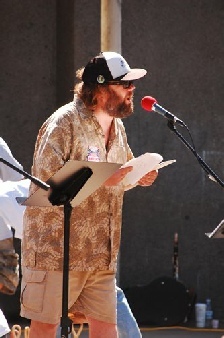 Read by the poet in San Francisco, September 5, 1999. Poem was written in Quincy, California. Read by D. A. Wilson in San Francisco, March 1990 - January 1992. D. A. Wilson reads excerpts from the Schrödinger's Cat Trilogy by Robert Anton Wilson.